LIFE IS a cabaret or at least it could be with this remarkable tiny theatre-inspired home which you could replicate for just £73k. 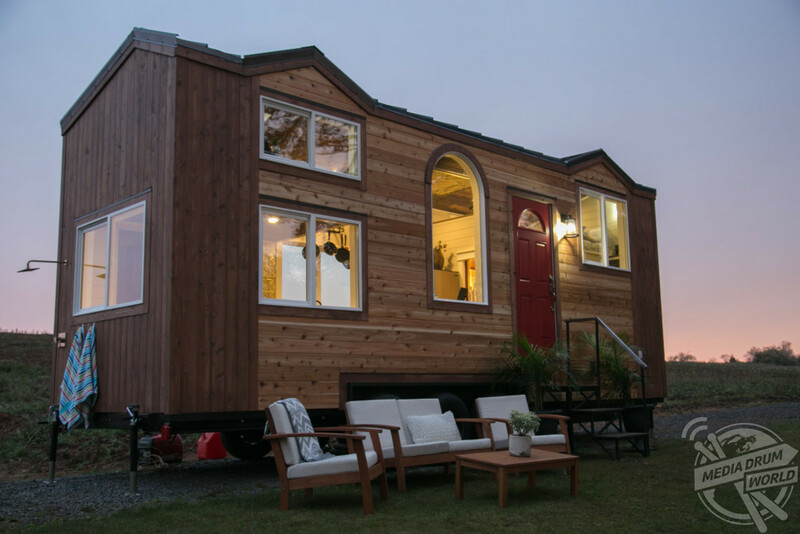 Incredible images show the exterior of the 200-square-foot house with its wood-panelled walls, red front door and large windows. The influence of the theatre can really be seen in the interior photos with an intricate ceiling artwork, red plush seats and a large flat screen TV instead of a live stage. 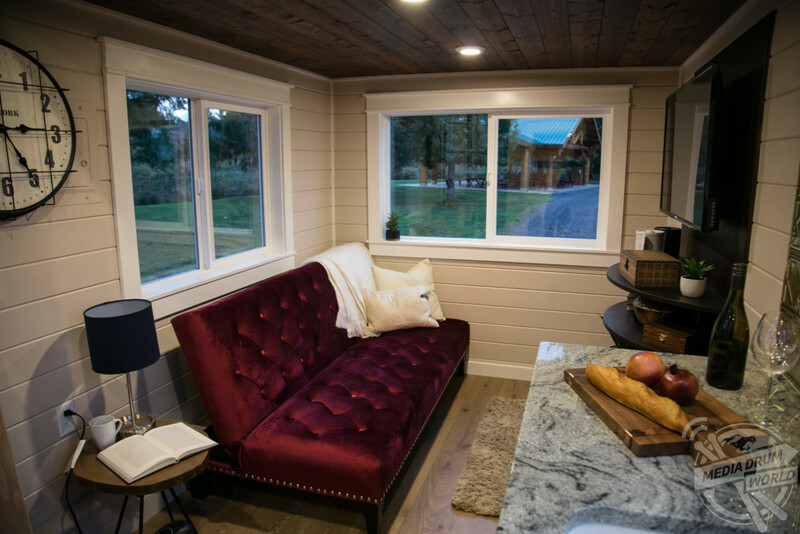 The tiny theatre home was custom designed by Portland-based company Tiny Heirloom for a San Diego family who used their daughter’s passion for theatre as their inspiration. 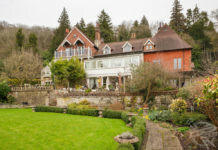 The manufacturer’s suggested retail price is around £85k but the company can replicate it with some adjustments for closer to £73k for any interested customers. 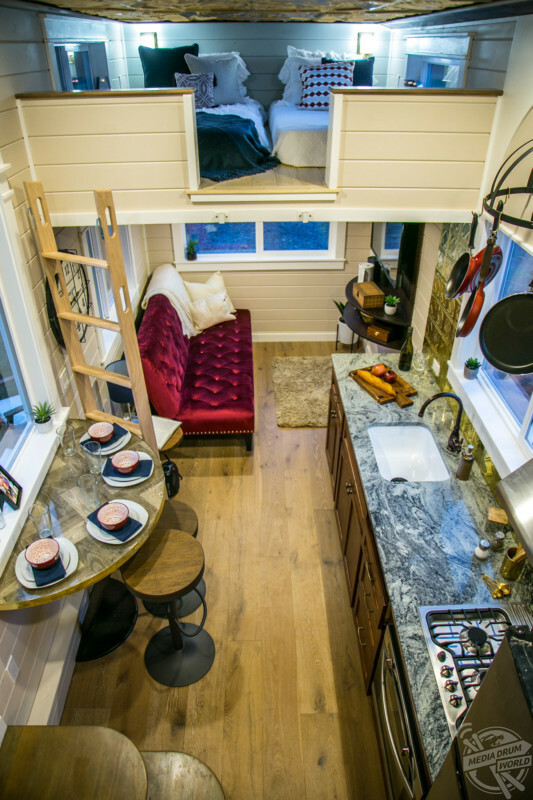 “If you’ve never experienced the joy of a tiny home, you may find yourself wondering what the big deal is,” said Tiny Heirloom. 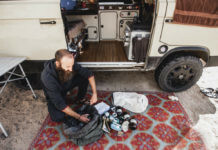 “To some, it may seem like an oversized tent or a nicer loft apartment. 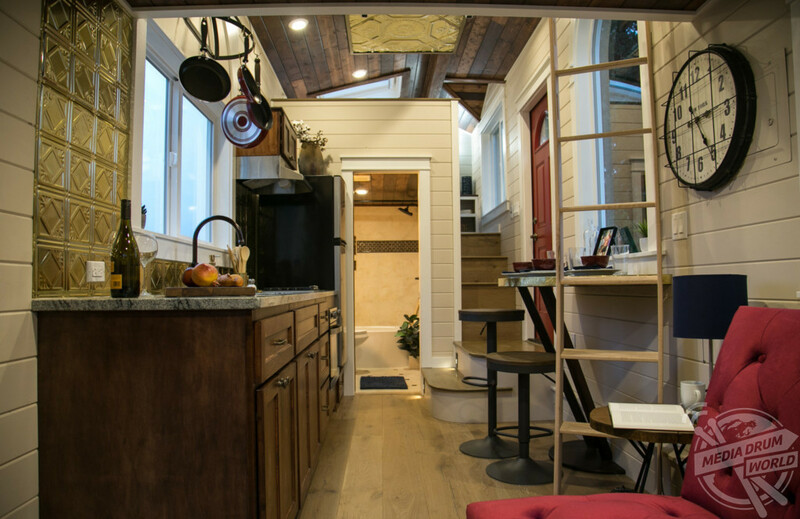 In truth, a tiny house is so much more. It’s still a fully liveable home, maximized for all you need with nothing you don’t. 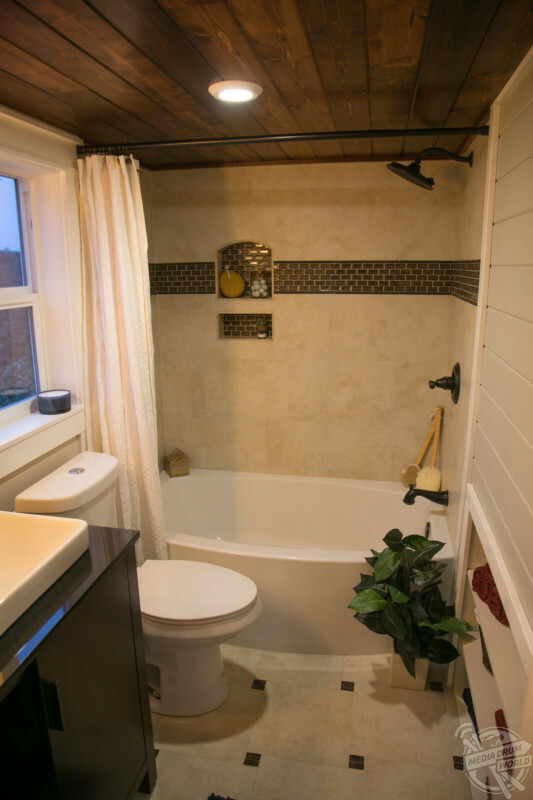 “Just because it’s smaller doesn’t mean you’ll have to go without the creature comforts of a full-sized home. Enjoy storage space, a cosy bed, a kitchen and dining area, and showers — all without taking up massive amounts of space. “When it comes to housing, there’s not a one-size-fits-all type of solution. And tiny house living is certainly no different. 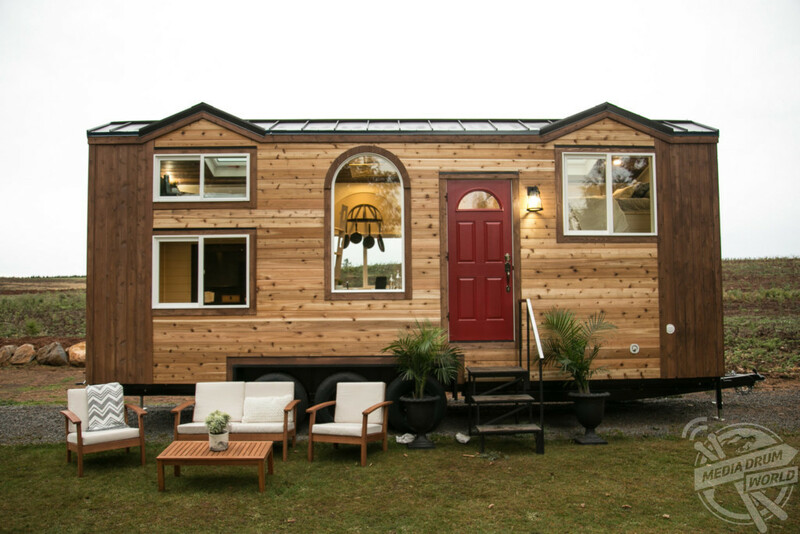 The tiny home greets its residents with a vibrant red front door. Inside, the design feels luxe with touches of gold and deep red. 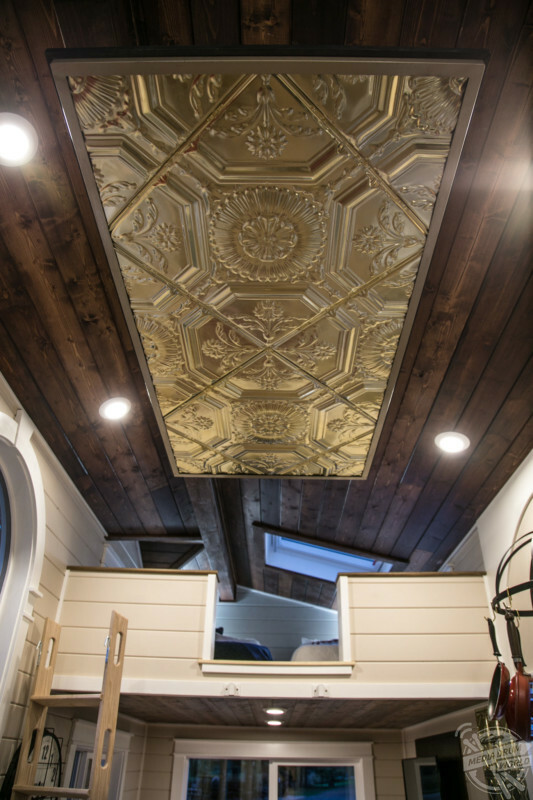 Intricately hammered metal is the focal point in both the ceiling and the backsplash of the 80-square-foot kitchen. The curved dining table with a shimmering gold top is also a nod to traditional theatre characteristics. 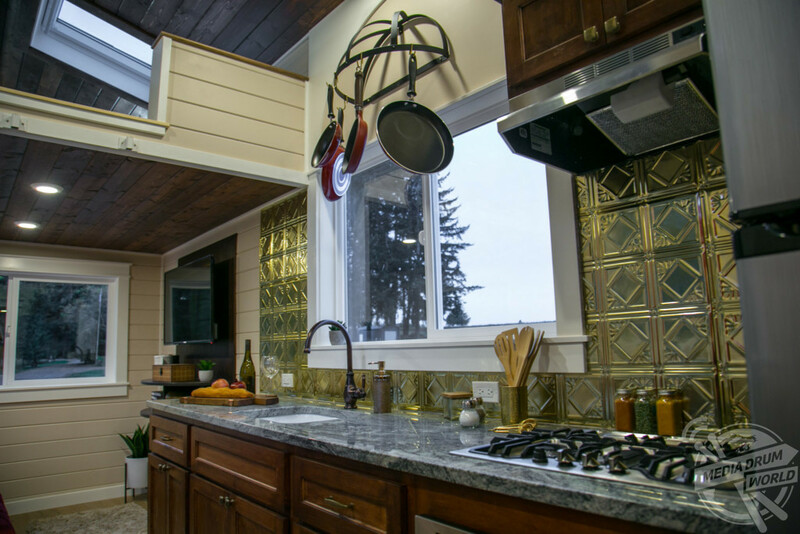 Functional elements in the space include a full-size oven, stovetop and refrigerator/freezer. The entertainment area adjacent to the kitchen embodies the theatrical vibe with a tufted red velvet sofa and a large, flat-screen television. 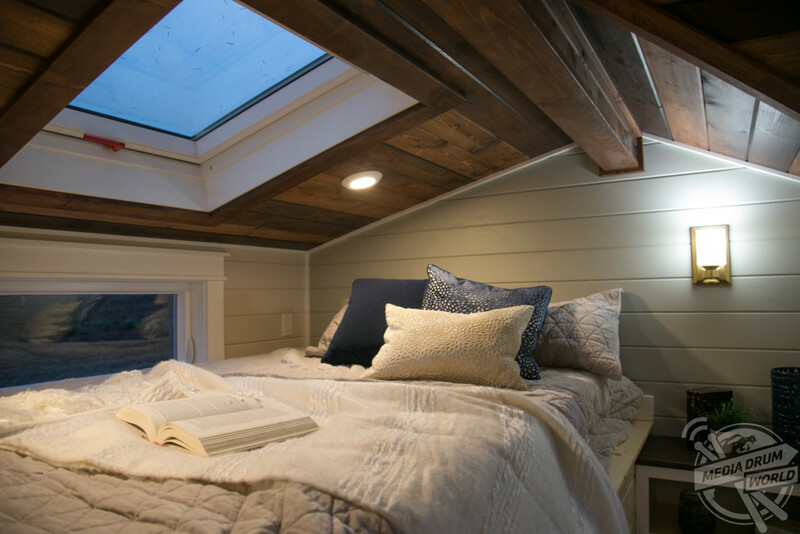 The home boasts two separate sleeping spaces, including a master bedroom with a double bed, a skylight and two additional windows. A stairway leads to the quarters, lit with a theatre-style glow to highlight the lower steps. An additional sleeping loft hosts two more beds for the kids or guests and another skylight perfect for viewing the theatre of the stars at night. With a total of nine windows, the entire home benefits from plenty of natural light.